The Australian Technical Analysts Association is a not-for-profit association. 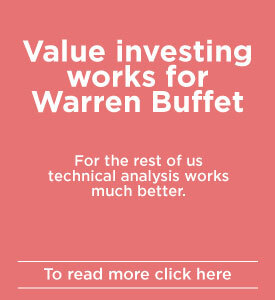 It exists for one purpose: to benefit members by improving their knowledge of technical analysis and thereby improve their trading and investment performance. There are a large number of companies, other organisations and individuals offering to do this, but their primary motivation is to run a profitable business. Many offer very valuable services, others less so. ATAA has no products to sell and it endorses no product or company. It is run by volunteer members solely for the benefit of members. 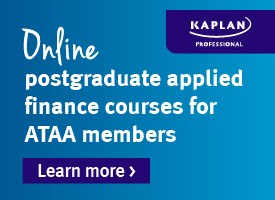 As ATAA is operating in the commercial financial world it shares information, as a service to members, on products and services that others offer. Most of this is done at no financial benefit to ATAA. There is some paid advertising on the website and paid sponsorship to the annual conference to help defray costs. These must meet ATAA’s ethical standards. 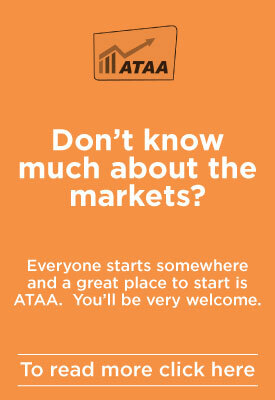 Many of ATAA's more experienced members are willing to share their knowledge, openly and informally at no cost. Other ATAA members may offer mentoring and paid products and services. The Membership Benefits page lists the major ways ATAA Members can benefit, such as meetings, conferences, special interest groups, newsletters and this website with its rapidly-growing resource of valuable information. ATAA welcomes all-comers whether they are complete beginners or seasoned professionals, men and women, students, young and old, everyone can learn and benefit. Members new and old are welcome to suggest or even initiate new and improved ways to learn and prosper. Membership categories include full membership (paid monthly, quarterly or annually), student, partner, distance, emeritus. Click Join Now to see the full details.